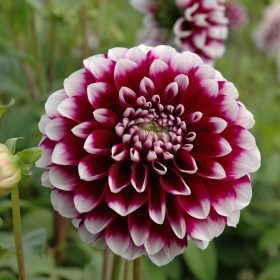 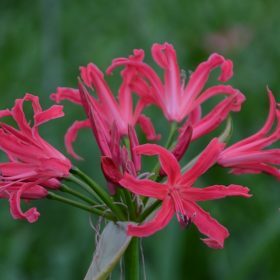 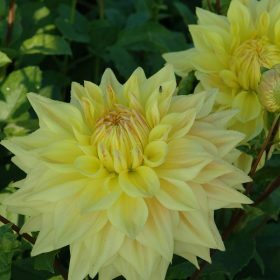 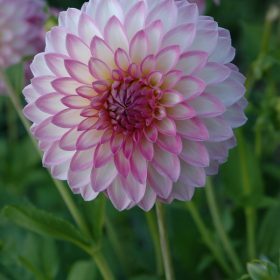 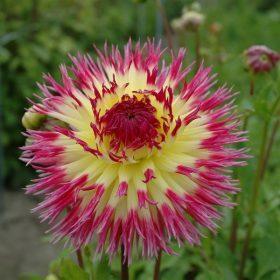 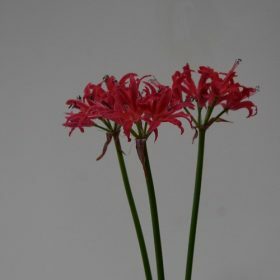 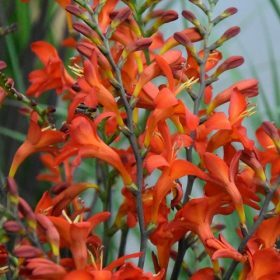 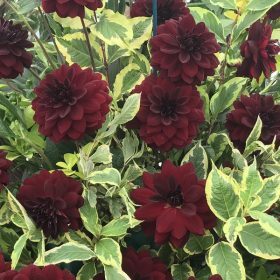 Lindsay Michelle is a new addition to our range and has a great colour combination of a soft yellow centre with rose red tips that are fimbriated. 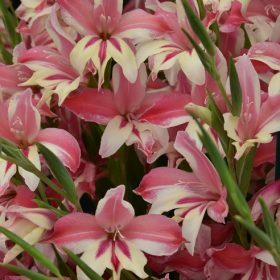 Galaxian is a wonderful new nanus gladioli in a combination of white and red shades. 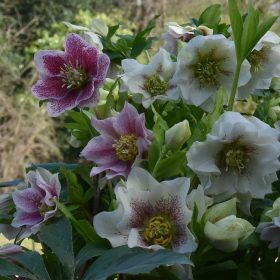 This mixture of double hellebore are simply superb when grown in the garden and can be left to develop year on year. 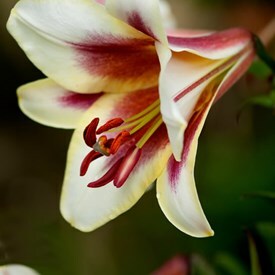 Lilium Passion Moon is an orien-pet lily (crossed between a oriental and trumpet lily). 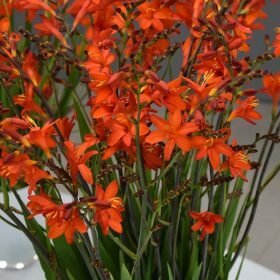 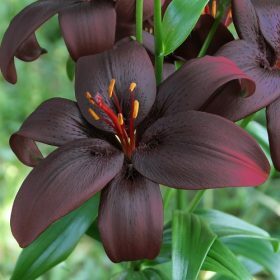 These lilies are often referred to as tree lilies, Passion Moon has large flowers that are a creamy white, flushed purple red. 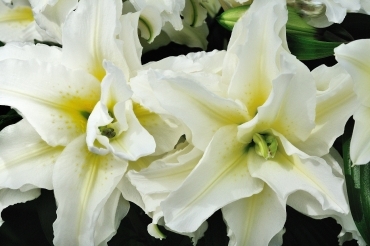 The flowers of Pearl Melanie are slightly downward facing and lemon yellow. 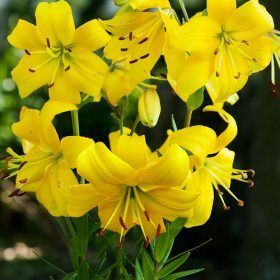 Asiatic lilies are amongst the earliest of the lilies to flower and can add early colour to the summer garden. 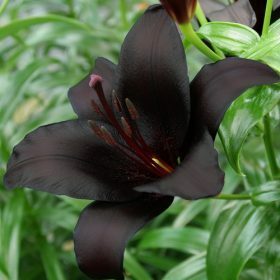 What a stunning addition to our range, lily Royal Kiss is an Asiatic lily with flowers that are almost black and truly stunning. 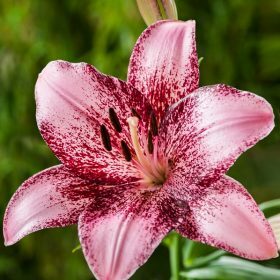 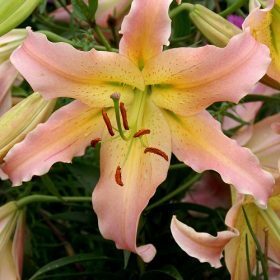 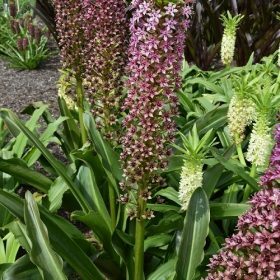 Sweet Desire is a L A Hybrid lily with flowers that are a lovely yellow and many pink speckles at the centre of each flower.